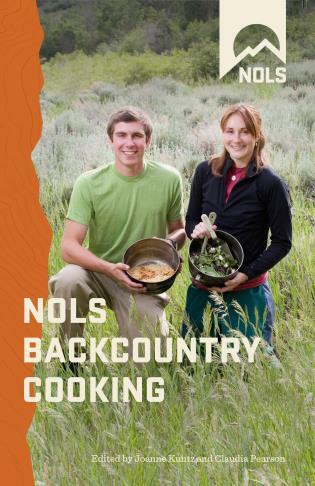 NOLS Backcountry Cooking provides sample menus and packing tips for tasty meals, snacks, and beverages to prepare during short wilderness excursions. Recipes include Tabouli Salad, Vegetarian Meatballs, Cowboy Coffee, and No-Bake Eskimo Cookies. Editor Joanne Kuntz serves as book publishing coordinator of the National Outdoor Leadership School in Lander, Wyoming. Claudia Pearson is rations manager for the National Outdoor Leadership School's Rocky Mountain Branch in Lander, Wyoming. The National Outdoor Leadership School is the leading educational organization for outdoor skills and leadership and offers courses in the world's most spectacular wilderness classrooms.